Film star Brendan Gleeson has said Ireland needs to show some self-respect and reclaim its valuable oil, gas and fish resources. The Emmy award winner said he was inspired to support a new documentary The Atlantic after witnessing the bullying and slow death of coastal communities. 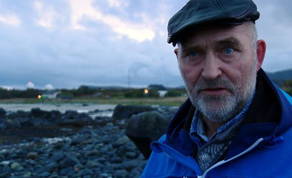 The feature-length film - from the maker of The Pipe, which explored Shell's Corrib Gas project in Co Mayo - examines the exploitation of finite resources off Irish shores, and Newfoundland and Norway. And it gets unprecedented whistle-blower access to the workings of a super-trawler - a mammoth factory ship which drags nets the size of football pitches to scoop up tonnes of fish at a time. Gleeson said: "I feel that we haven't valued either the resources or the communities that can live from them. "What I meant by self-respect was in our own terms of self-respect, as a nation in looking after the communities. "We are hammering the small man and we are legitimising these massive factory ships." On this week's Insider Podcast, we spoke to Risteard O'Domhnaill, director of landmark Irish documentary The Pipe and his most recent work, Atlantic. 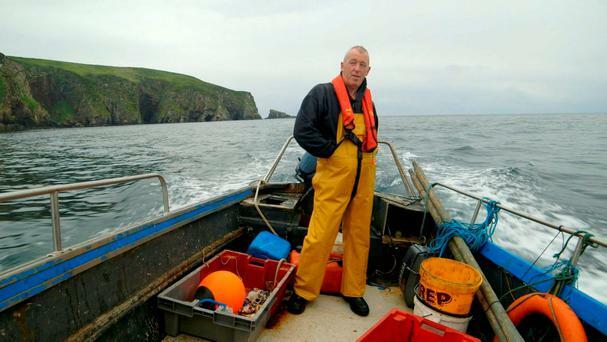 The documentary follows the story of three communities - Ireland, Norway and Newfoundland - and the effects of globalisation, over-fishing and the oil industry has on them. O'Domhnaill's work on The Pipe grew out of his own involvement with filming the scenes at Rossport for news organisation. Commercial oil production from offshore Irish licences will not become a reality until at least 2023, one leading player has said. British explorer Europa Oil and Gas has a number of licences and prospects off the west coast and is in line for more when the second phase of options from the recent Atlantic Margin Licensing Round are awarded next month. Ever the master of the poor mouth, Enda Kenny is reported in your edition of March 16 as explaining to a select gathering of movers and shakers in Washington (specifically at a dinner in the house of the vice president Joe Biden) that Ireland is '.. an island which lacks natural resources'. Shell Ireland has received a further €50m cash injection from oil giant Shell, as the Irish firm finally generates revenues from the long-delayed and controversial €3.6bn Corrib Gas field.